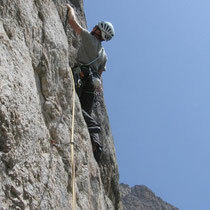 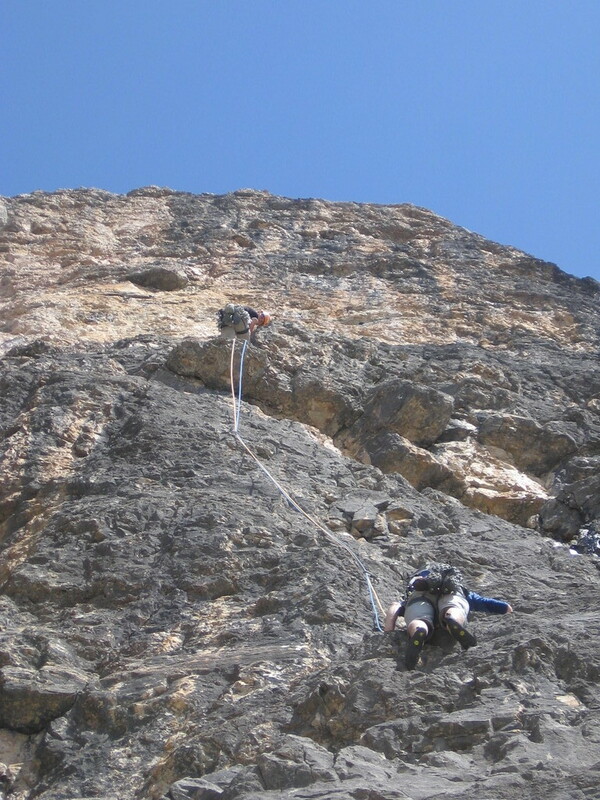 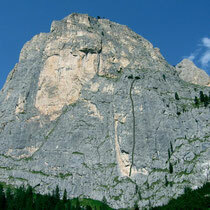 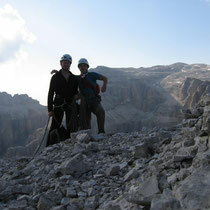 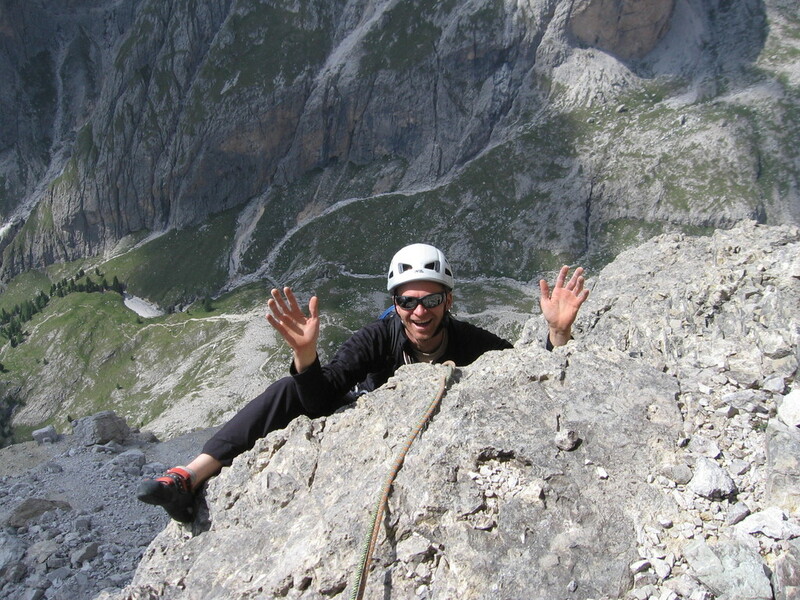 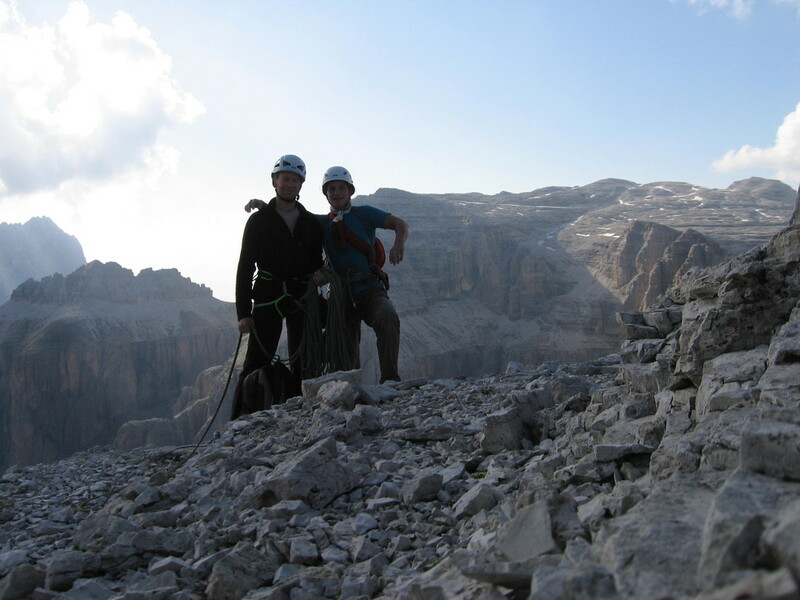 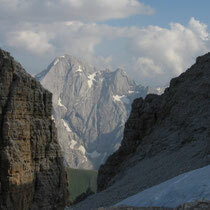 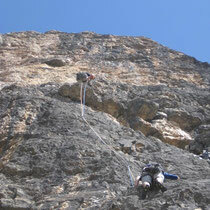 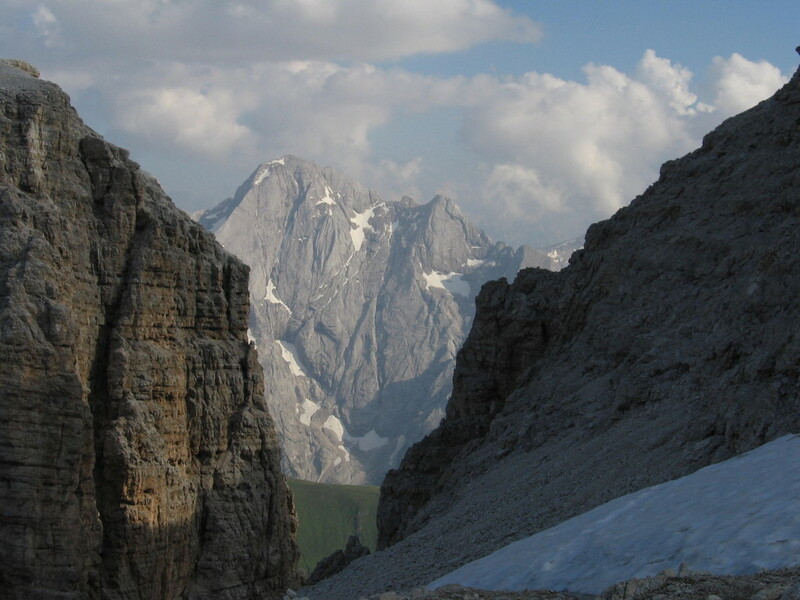 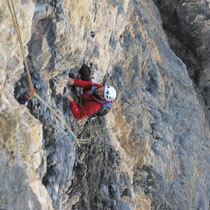 600m bolted route on rough rock up the NW-face of Sass Pordoi (2950m). 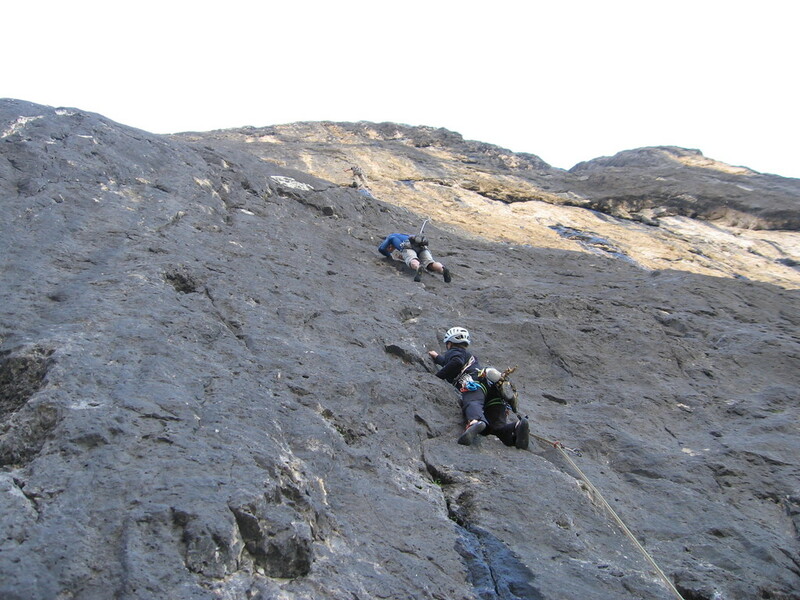 Some holds were wet, especially pitch 5 and 7 felt like canyoning...but the rock was sticky enough to squeeze our way up! 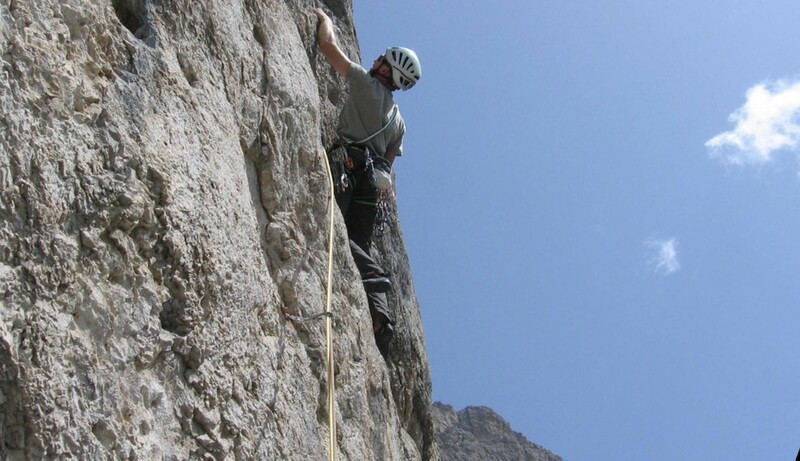 The climbing is mainly steep and tiring (40-50m pitches); the bolts are far and just some mid-sized Cams and kevlar threads turned out to be useful. 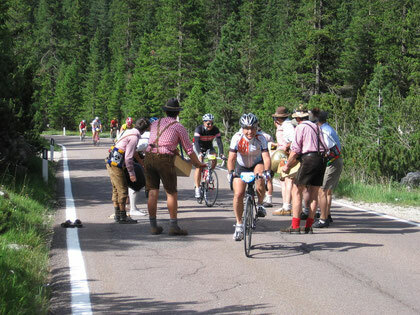 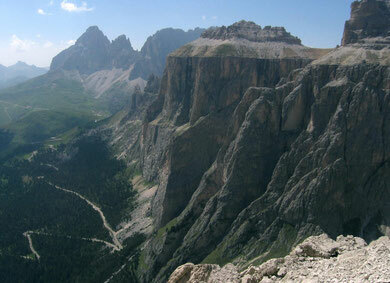 Welcome to the Dolomites!! 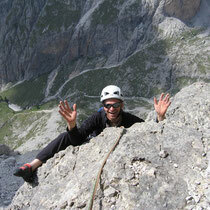 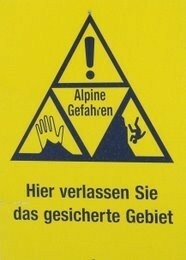 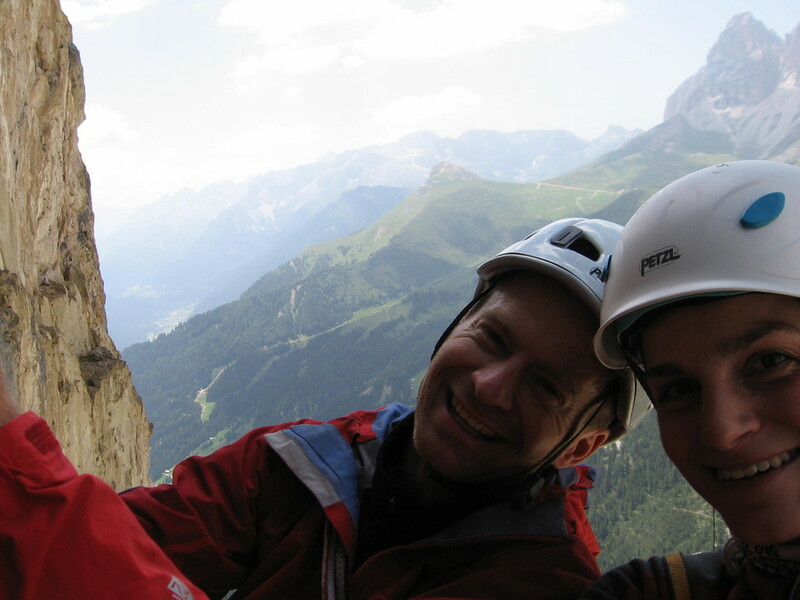 We shared some belays with two cool Tyrolers, Peter and Martin and had a lot of fun! 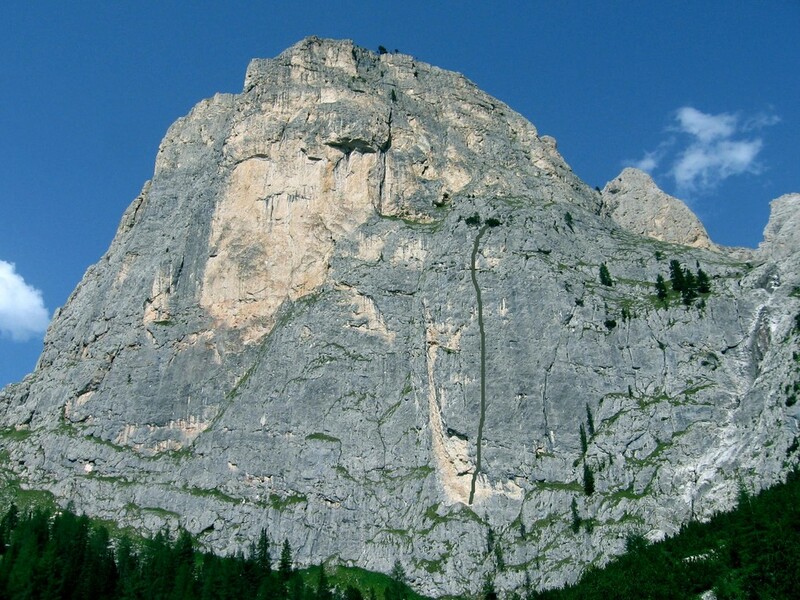 The crux pitches are pitch 7 (6c+, 40m, overhanging, biiig holds and fairly runout, the '+' stands for the extra water ;o) and pitch 11 (7a, 40m, crimps and sideholds). 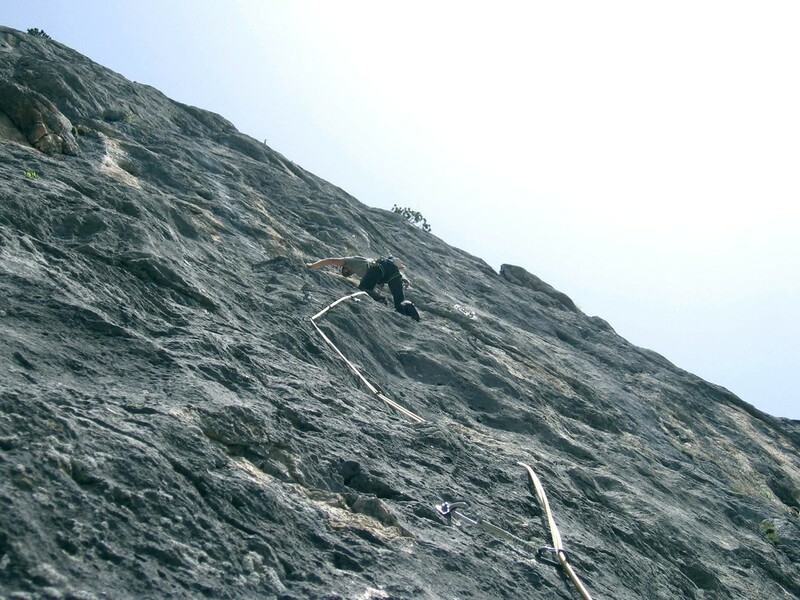 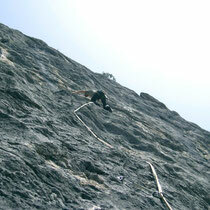 200m alpine sport climbing on sticky, light grey rock. 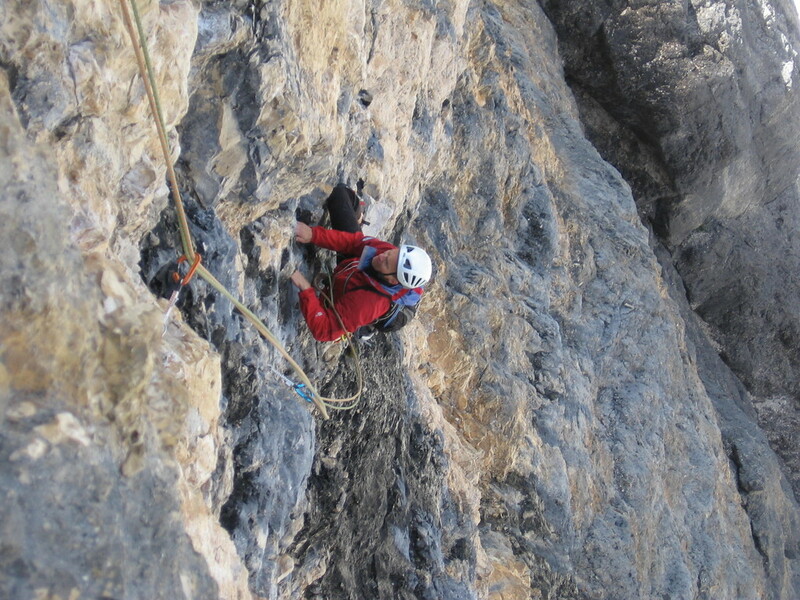 Excellent rock quality, good protection (10mm bolts), Ceüse-like climbing on pockets and flared cavitie! 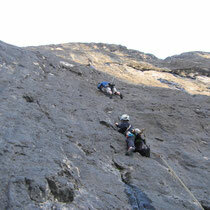 Sharp and unchalked rock , the rout meanders up 7 quite hard and technical pitches. 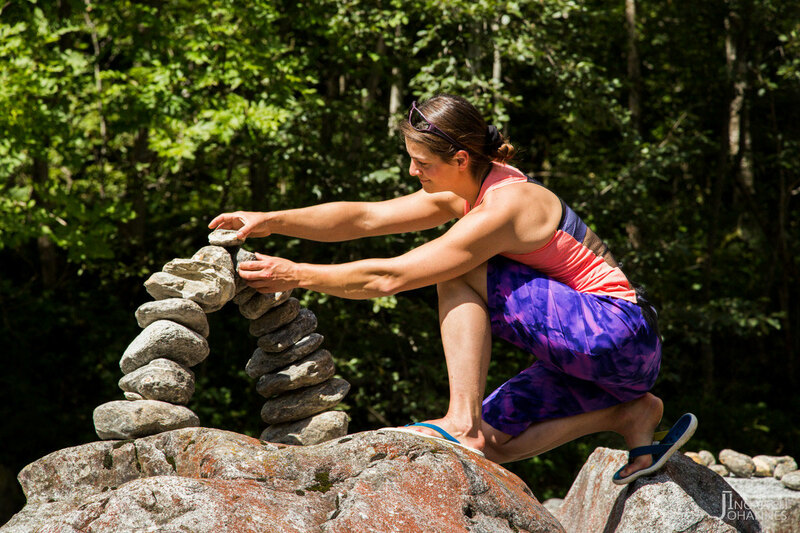 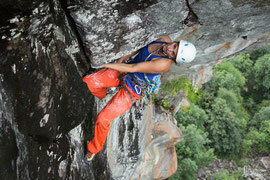 Slab climbing skilles are required as well as holding onto small crimps and slopers.